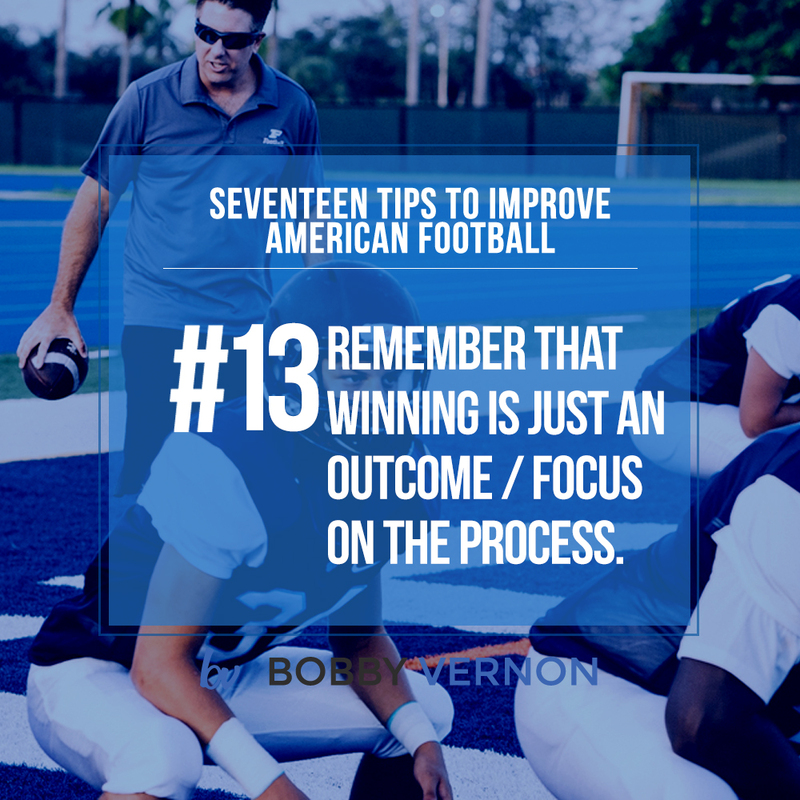 Tip #13 – Winning is just an outcome so focus on the Process instead! An example of how setting an outcome based goal can be counter-productive is when a kicker dreams of watching his ball sail through the uprights at the last second, securing the win for the team. In this fantasy, his teammates and the hometown fans rush the field and hoist him up on their shoulders as he is ushered into the locker room and presented with the game ball. So what’s wrong with this goal or dream? The problem is, by focusing on the outcome—the ball sailing through the uprights and everything that happens after—the player is ignoring the most critical component of making it all happen: the kick! If a kicker is focusing all of his attention on making the ball go through the uprights, he will very often fail in the execution of the kick itself. Focusing entirely on the result overlooks the most critical part: actually playing well enough to win.